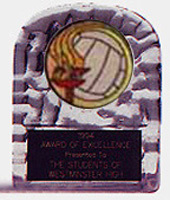 Cool and inexpensive, the volleyball ice awards are available in three style options. The block ice award has three sizes to choose from. Our star & flame ice awards have two sizes to select from. 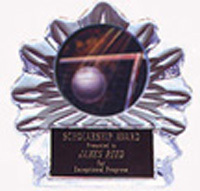 These acrylic awards would make a great gift for your volleyball coach, sponsors or players. You get 40 characters of FREE engraving, anything over that is $.07 a character. Orders ship in five to seven business days. Contact us if you need your order sooner 800-787-8777.